As Fighting Fantasy fans may already know, Scholastic is delivering a new set of books the 5 of April. The fans already noticed that Scholastic has changed the cover style in a more sober presentation. 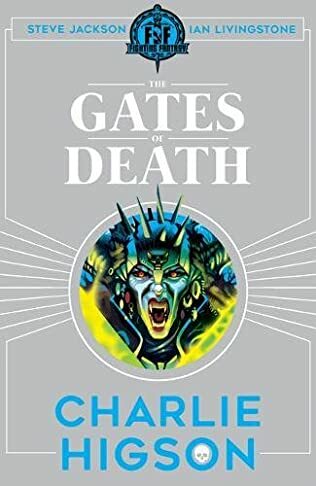 Apart from the classic reeditions, the big news is a brand new Fighting Fantasy adventure, The Gates of Death by Charlie Higson. Charlie Higson is already well known as the writer of Young Bound and The Enemy novel series, but this iss his first gamebook. For this task he has been backed by Jonathan Green who is now in charge of the Titan Universe. It is worth noting that the last newcomer in Fighting Fantasy family was Jonathan Green himself with Spellbreaker in… 1993 ! Along with the publishing of Livingstone’s Port of Peril last summer, this is a good indication that Scholastic believes in the revival of Fighting Fantasy gamebooks. Titan fans will be pleased to notice that the story takes place in Allansia, but introduces the Temple of Throff (goddess of Earth as you know of course!) and the Invisible City, which is new material in Titan universe. Ulrakaah, the Mother of Demons, is also a new character and, as publisher of the french version of Advanced Fighting Fantasy, Scriptarium is curious to discover the place of such a Queen of Darkness in Titan demonology ! And our team will be pleased to work on the french version of Gates of Death with french editor Gallimard, following our work on L'Anneau des Serpents de Feu, the french version of Port of Peril.